Mario’s True Value Home Center carries only the best windows and doors from brands such as Weather Shield, Brosco, Therma-Tru, Larson, and more. Weather Shield has always coupled its commitment to innovative and performance-driven products with its unwavering dedication to customer service. As pioneers in the window and door industry, Weather Shield continually listens to the needs of the industry. Therma-Tru doors and entry systems offer the industry’s highest quality systems and best warranties. 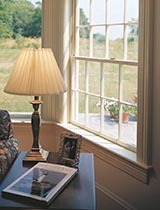 Brosco windows and doors offer distinct lines of quality windows and doors for every application. 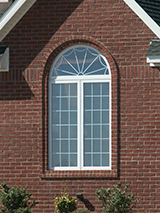 From new construction to window replacement and remodeling, Brosco has the options and sizes you need. With over 100 years of combined window manufacturing and management experience National Vinyl is the premier choice for New England homeowners. Their new construction and replacement windows are manufactured with a slim profile to let in more natural light, SuperSpacer®SustainaView™ technology for the highest energy efficiency ratings and fusion welded frames and sashes for durability. 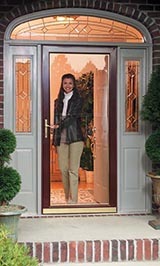 Larson storm doors are the #1 selling storm door in America. Larson provides innovative products made with impeccable quality and attention to detail, supported by the highest level of customer service. Larson’s storm doors, storm windows, and retractable screen doors help you create a secure, energy efficient house that also looks great.